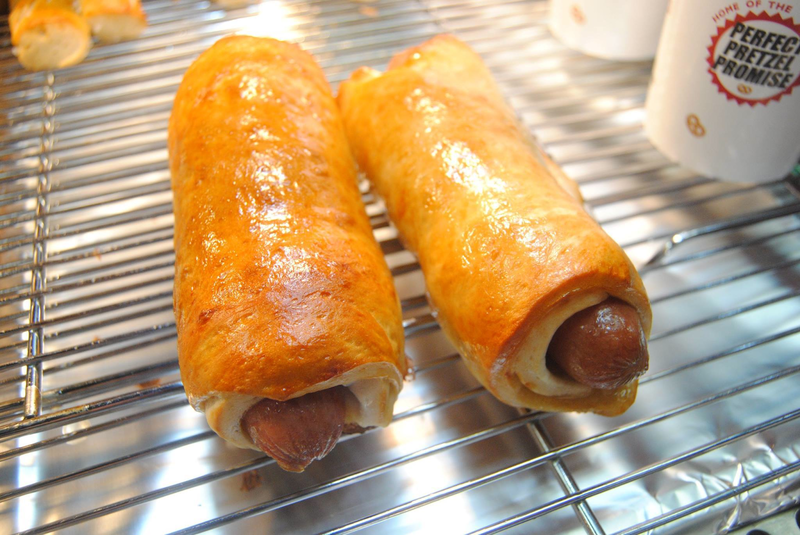 Have a jumbo pretzel dog at Ben's for National Hot Dog Day! Ben's Soft Pretzels is a leader in the soft pretzel market, offering preservative-free pretzels baked fresh on-site daily in our bakeries. Ben's Soft Pretzels was founded in early 2008 in America’s heartland, by using a beloved Amish/Dutch recipe. There are currently 33 Ben’s Soft Pretzels locations throughout Indiana, Illinois, Michigan, Wisconsin and Florida with plans to add 50 new bakeries in 2015. The majority of the 50 new locations will be located inside Wal-mart and Meijer stores. In addition to their franchised stores, Ben’s Soft Pretzels also has several corporate-owned stores throughout the Midwest, including locations at the prestigious University of Notre Dame. For more information, visit benspretzels.com.